Wouldn't it be great to find a cost and time saving alternative to traditional purging systems? Conventional purge dams such as inflatable rubber bladders, rubber gaskets, or cardboard discs must be placed far from the weld zone. Remote placement of the purge dams may require large amounts of inert gas to be introduced to fully purify the weld zone, making the use of the conventional purge dams labor intensive and cost prohibitive. Additionally, traditional cardboard purging systems often leave dangerous residues upon removal. The bulkiness of bladders and cones results in inherent storage and transport concerns. To overcome these limitations, the construction of Water Soluble Purge Dams was introduced. Our purge paper is used to dam Argon or Helium gases during Tungsten Inert Gas (TIG) welding of stainless steel and aluminum pipes. The greatest advantage of our water soluble purge dams is that they can be placed in close proximity to a weld zone, then dissolved with water or steam introduced through the pipe. We recommend the dams be placed 6 to 8 inches on each side of the root gap. This is in comparison to conventional dams which are placed 10-20 feet from the weld area. An alternative to traditional cardboard purging systems, water soluble paper and tape are extremely easy to use and provide a safe work environment for welders. 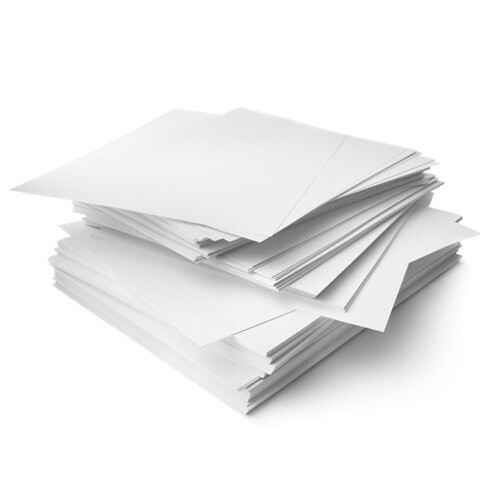 Water soluble paper is made of sodium carboxymethylcellulose (CMC) and wooden pulp that dissolves rapidly and completely in most liquids including water. After welding is complete, our purge dams can be effortlessly dissolved and flushed out of the system with water when hydro testing leaving no residue in the pipeline. 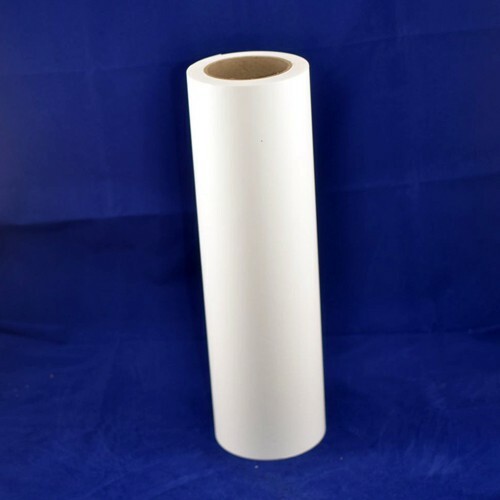 Water soluble paper is available in a wide range of grades and sizes permitting the construction of purge dams for literally any pipe diameter. 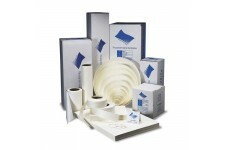 The product is available in a variety of formats including sheets, rolls and pressure-sensitive tapes. Custom sizes and lengths are available as well. It is extremely easy to store, environmentally friendly and nontoxic. Step 1: Clean area to be welded. Clean area to be welded with wire brush. Wipe area with a saturated cloth - such as our Industrial Cleaning Wipes, model AA97205. Wait approximately two minutes for cleaning agents to evaporate. Industrial Cleaning Wipes, model AA97205, feature a two-sided cleaning fabric, an abrasive side to loosen dried on surface contaminants, and a smooth side to reveal a cleaner, polished surface. Trace the pipe's inner diameter on the paper by pressing against the pipe to create an impression of the pipe. Cut water soluble paper into a circle with a diameter about 1.3 times the inner diameter of the pipe. Slit approximately 1" to 2" segments perpendicular to impression on paper. Do not exceed inner diameter circle. Step 3: Insert dam and tape in place. Insert dam 6-8" from root gap with the lip toward the weld preparation. Repeat step 2. 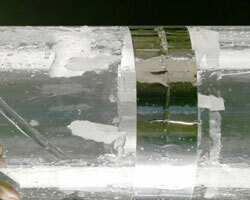 Insert and tape dam on opposite pipe. Step 4: Introduce gas and weld. Cover root gap with our Aluminum Welding Tape, model AA97202, a contaminant-free gas retaining tape. Insert purge gas needle into root gap. Ensure connection to gas line. Introduce noble gas and start welding. Step 5: Dissolve water soluble purge dam. Simulation of hydro-test (flushing line). Cost-Effective: Conventional purge dams such as inflatable rubber bladders, rubber gaskets, or cardboard discs traditionally must be placed far from the weld zone. Remote placement of the purge dams may require large amounts of purge gas to be introduced to fully displace the oxygen in the weld zone, making the use of the conventional purge dams cost prohibitive and cumbersome. 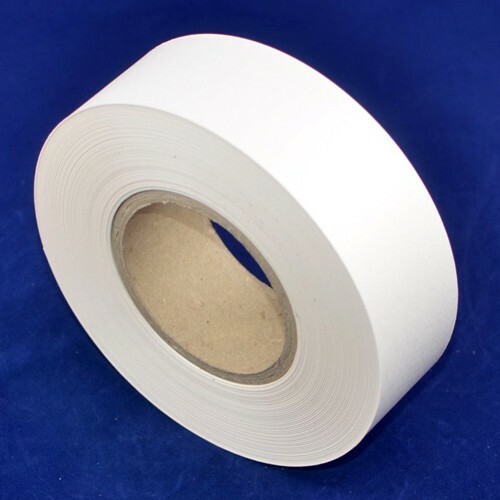 Our water soluble paper and tape can be placed in close proximity to the weld zone, thereby using less inert gas. Ease of Removal: Water soluble purge dams can be effortlessly dissolved and flushed out of the system with water or steam leaving no residue in the pipeline. Time Saving: Because the dam is easy to remove, time is saved searching for inflatable bladders, especially in inaccessible pipe areas. Convenient Packaging: Our paper rolls are boxed individually for ease in storing and shipping. Same Day Service: Stocked items are shipped immediately, extremely important for urgent situations. Drop Shipping: Products can be shipped to multiple locations and directly to the customer. 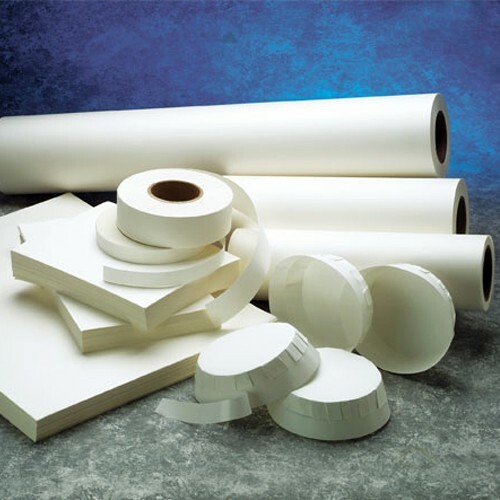 Variety of Sizes: Water soluble paper and tape are available in a wide range of standard grades, sizes, and formats. 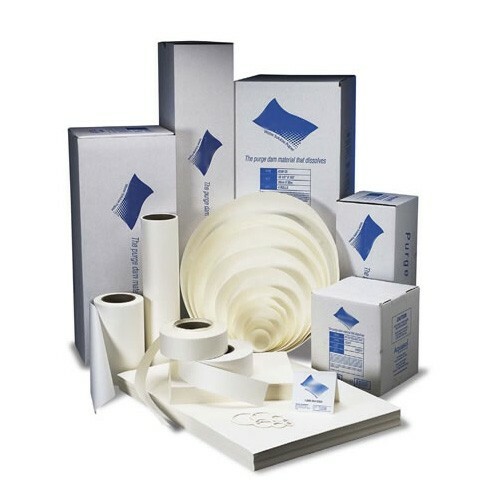 Custom Sizing: Water soluble paper and tape can be made to customer specifications, permitting the construction of purge dams for any pipe diameter.